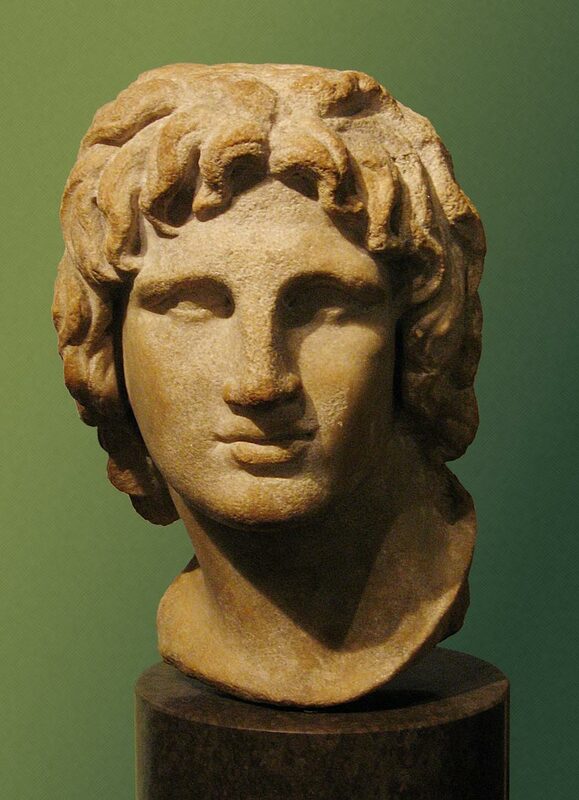 The fascinating feats of Alexander the Great during his lifetime have undoubtedly pushed him into the realm of legends. Of course, it was no easy task to conquer most of the known world, ranging from the highlands of Northern Greece to the plains of Western India. But oddly enough, the images of the exalted Macedonian prince ‘captured’ during his cruelly cut-short life have been incredibly missing from historical archives around the world. 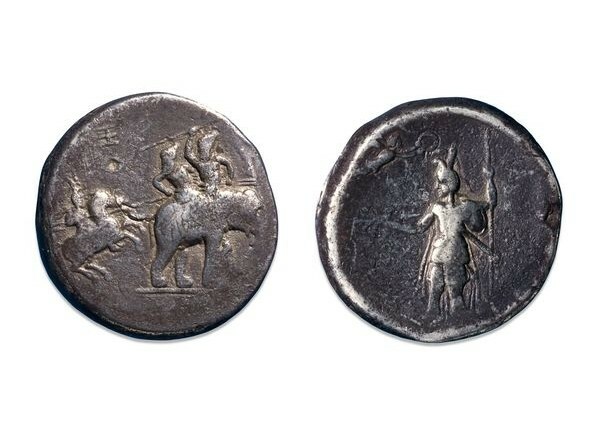 Except probably for the above-pictured coins – which are believed to be issued by Alexander himself, as a commemoration of his hard-won victory against Porus, the Indian king of Paurava. These silver decadrachms were possibly issued by Alexander after his ill-fated return to Babylon. 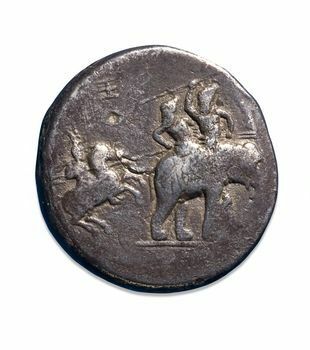 The coin depicts a dashing figure on a horseback reminiscent of the Companion cavalry, attacking other figures perched atop an elephant. Many historians believe Alexander himself is represented by the horse-mounted warrior, while the elephant-mounted warriors might pertain to Porus or typical Indian shock soldiers. 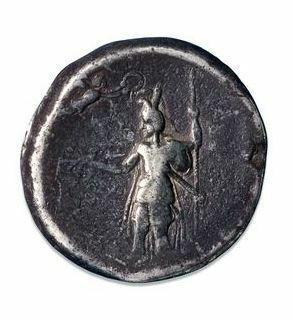 The back-side of the coin illustrates an even more ostentatious figure draped in an opulent manner with a Macedonian cloak, Greek armor and a Persian head gear; who also boisterously carries a thunderbolt. This depiction further solidifies the possibility of Alexander himself being portrayed – as the conqueror was known to identify himself as the son of Zeus-Ammon (a ‘delusional’ behavioral pattern initially inculcated by his mother Olympias). In any case, the coins (and their complementary issues) do not explicitly carry the name of Alexander the Great. 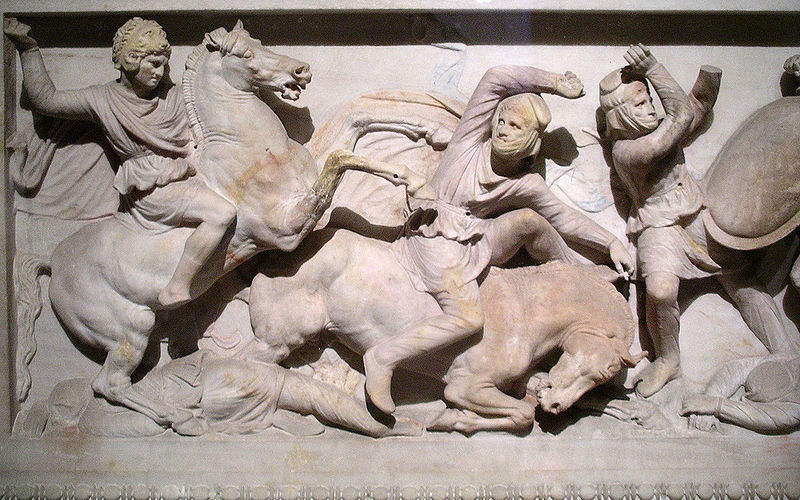 However, if the images are indeed of the world’s most famous military genius – then these Decadrachms are the only surviving specimens depicting Alexander’s physicality (albeit in an embellished manner) from his own lifetime. As for other portrayals of Alexander, you can take a look below at the Sarcophagus and the Bust (from 2nd-1st century BC).